I run a community recipe site called Nibblous, and if you Google for banana cake, you’ll find my friend Jaqui’s recipe is the number one hit, which I’m quite pleased about! I’ve long used a similar recipe to that myself for banana cake, but I’ve refined it quite a bit over the years, and I change it around almost every time I make it. I’m a fairly recentlly diagnosed Type 2 diabetic, and I try to avoid white flour, so I thought I’d have a bash at a wholemeal banana cake. 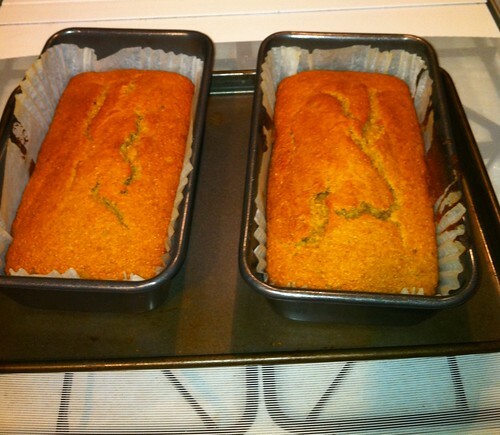 I always double it up and make two cakes, as they freeze remarkably well. I was really pleased with this wholemeal version – it’s slightly nutty, and the nutmeg was a new addition this evening, and it worked really well. You can bung anything in this – chocolate pieces, mixed spice, currants, chopped apple, walnuts; it’s a really great basic cake recipe.